Despite Metallica's management telling the Wall Street Journal last week that 98 percent of listeners had an overwhelmingly positive reaction to Death Magnetic, angry fans continue to campaign for the album's audio issues to be resolved. 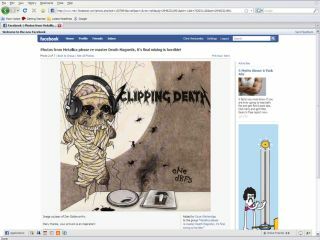 The online petition to get the record remixed or remastered has 12336 signatures at the time of writing, and now the campaign has hit leading social networking site Facebook. Facebook members can join the snappily titled - and grammatically incorrect - group 'Metallica please re-master Death Magnetic, it's final mixing is horrible!' and express their frustration.